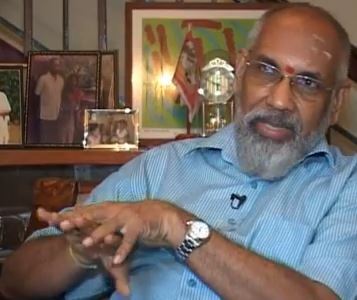 The TNA having decided on the candidature of C.V. Wigneswaran, barring anything untoward – God forbid – he will be the Chief Minister of the Northern Province. Congratulations to him.Reports suggest that all constituent parties wanted Mavai Senathirajah. For anyone can walk into Senathirajah’s house expecting to be spoken to. I gratefully remember my own crisis with the LTTE when Senathirajah, joined by M.K. Sivajilingam, stood up for me and questioned the LTTE’s decision to oppose my appointment as VC and demanded a reason of LTTE Political Commissar Thamilchelvan. Senathirajah was no LTTE stooge. He personally came home to discuss my situation with me. In the CM nomination Senathirajah was half hearted. He feared what would happen if he resigned his parliamentary seat to contest and then found the courts striking down the PC system which is expected to be challenged soon. The argument that Wigneswaran is educated was dismissed saying that in the old days all educated people were in Colombo but now Jaffna has several who sprang roots on “Yal Munn” (Jaffna soil) like Valvettiturai Chairman Anandarajan, Dr. Kandiah Sarveswaran, and retired Deans S.K. Sittrampalam and A.V.S.R. Sivachandran, besides articulate lawyers and young graduates like Manipay’s Aanaimuhan. Wigneswaran’s strength was his “karai padaa karam” (unsullied hands) – his non-contact with the LTTE. There were hints that India had rooted for him. These are perhaps the very reasons why LTTE holdovers in the TNA did not want him. But Wigneswaran comes with the baggage of being backed by Hindu nationalists like Neelakandan who reportedly voted for the BASL resolution condemning the UN Secretary General’s Darusman study. A Federalist confessed, “Wigneswaran is OK but some people behind him worry me because they are big crooks.” Indeed Neelakandan’s support for Wigneswaran as well as that of Jaffna’s R. Thirumurugan, hardened the opposition of both liberals and the LTTE holdovers. Wigneswaran sporting red pottus at public functions makes Tamil minorities wonder about him. Traditionally till the 1970s the saffron-colored (yellow) pottu was the norm in Jaffna for Saivite men. Looking to India since, the red kunguma pottu has become fashionable; sometimes a smaller red atop a larger yellow. These recent imports heighten fears of BJP sympathies in men wearing red. Wigneswaran’s insensitivity in opening his speeches with Sanskrit mantras without caring whether we understand, puts him in the company of Buddhist monks at government functions imposing their religion on the public. For a Supreme Court Justice Wigneswaran has much to learn about rights. With his brahmanical (North Indian) appurtenances, can Wigneswaran empathize with the majority of us who are below him in caste? As the Council assumes powers would he agree with Arumuka Navalar in Chaiva Virotham about putting the “unclean” “polluted” lower castes in their “proper place”? With Navalar protégé Sir P. Ramanathan that they should sit on the floor in classrooms? Would social services be only for the upper castes like Navalar’s food distribution during the 1876 famine? But Mr. R. Sambanthan insisted it should be Wigneswaran – the word used by his colleagues is “adamant.” Perhaps he had prematurely given his word to Wigneswaran without the party’s consensual authority and then stuck to his guns to uphold his word. This is likely what prompted Federal Party Senior Vice President S.K. Sittrampalam to accuse the party of lack of democracy. It was really a choice before the party for Sambanthan and against him. Wigneswaran himself did not help his cause by first saying he was not interested in the position and then showing a clear interest, and subsequently telling us he would agree only if his selection is unanimous and then sticking on through three days of hand-wringing arguments between Sambanthan and the rest. Wigneswaran, already the politician, it would seem, issued a press statement on Monday 10.07.2013 that he accepted the nomination because of the unanimous request from all parties! Thanks to Senathirajah’s gallantry on the eve of the decision asking the public to back whoever is selected, the party was spared a crisis. Most have now come behind Wigneswaran. Only Uthayan is up to its old tricks, cooking up intellectuals supposedly against Wigneswaran – whereas most supporters of Wigneswaran’s were always non-Jaffna intellectuals. The under-the-belt blow by Uthayan that Wigneswaran’s legal acumen and English fluency will not make him any more helpful to the Tamil cause than they did Neelan Tiruchelvam, won over many to Wigneswaran’s cause. Unnamed persons from Mullaitivu, Mannar and Jaffna, probably existing only in Uthayan’s head, advanced additional arguments such as that legal expertise can be hired and is unnecessary in a candidate who should have clear roots in Tamil Nationalism. These convinced some that the attacks on Wigneswaran were utterly unfair. As Tamils fell behind Wigneswaran, the position that the party needs to recognize those with long-proven commitment and service became doubly important. Steadfast loyalists like Senathirajah do need to be recognized. But the party still lacks new thinking through new faces. The silence of the party during the LTTE’s atrocious reign was a mistake, as many of those in leadership admit in private but are reluctant to voice openly because they mistakenly think it would hurt the party. Further they fear the LTTE collaborators still lurking within. Sambanthan’s judgement has also been questioned in the matter of his endorsement of General Fonseka who is on record that Tamils do not belong in Sri Lanka and – if the headline in his colleague’s TamilWin was correct – his statement on Friday 12th after meeting President Rajapaksa that Rajapaksa is keen to solve all our problems. The point is that Sambanthan should have said this is what Rajapaksa claims rather than giving a certificate of good intentions to a man who no one believes after stringing along the whole world with lies for 4 years. Sambanthan suffered much under the LTTE. He reportedly cried at the Indian High Commission (when queried over his joining the TNA) citing his life on the run from the LTTE. He knows the need for new faces to put distance from that period. His job now as leader is to cultivate a new generation of leaders. It is good to recall the year 2010 when the TNA had to nominate one MP and the choice was between S.K. Sittrampalam and M.A. Sumanthiran. The situation was similar to the Chief Minister’s choice this past week. Many wanted to see Sittramplam on grounds of service, seniority and Jaffna roots. But Sambanthan took a bold step – exercising leadership – and picked Sumanthiran. Today many who were disappointed with that decision are very happy. Indeed Sumanthiran is an invaluable asset to the party and as far as I know is the only official of the TNA to declare what we did to Muslims was ethnic cleansing. Sambanthan was right then and has earned his right to be followed on Wigneswaran now. But Sambanthan still faces the hurdle of equal representations for all 5 TNA parties. Federalists argue that their partners never did any groundwork building the party and now are after seats. At the 17th’s meeting after long argument Federalists demanded 50% and left. TNA victory is certain. Douglas Devananda is self-destructing. Saying it has been his dream of 20 years to be Chief Minister, he is lambasting his likely co-candidates who jumped from the LTTE to the government as “nobodies” who “ruined the lives of the Tamil people for so long, … and are trying to dupe the people”. Recent evidence of his party’s involvement in rapes and robberies is a death-blow and convinces people of his reputation. These augur ill for the government. This is therefore an opportunity to take risks, boldly bringing lower castes into leadership. It is also the occasion to bring in loyal long-service members like Sivachandran and embrace critical supporters like mavericks Sittrampalam and Sivajilingam. That is leadership. There will be four new ministers, one each for Education, Agriculture, Finance and Health. In giving nominations an even greater opportunity exists than in the choice of chief minister. Sambanthan must bring his tested vision to these challenges. I have never read such arrant nonsense as political commentary any where –even from Hoole.I think it even overshadows the work of Mahindapala and Seneviratne. Take a leave from Sri Lankan politicsHoole, and stick to engineering or chemistry. Brahmin appearance=north Indian. What the hell. yes i am aware that the tamil brahmins would have migrated from the north of india at some point in time but having said not every single north indian is brahmin or has these so called “north” indian looks. Only about 4% of the North Indians are Brahmins or have this so distinct look. The vast majority of north indians are either dravidians of dravidian hybrids who happen to speak indo-european languages. Cincinattus’ comment at the top leaves me angry. Professor Hoole, a reputed scholar in engineering and the humanities, writes under his name. His papers have appeared in several humanities journals. Navalar’s and Ramanathan’s comments against Muslims and low caste people are book material now. Just try Googling. Prof. Hoole’s reputation alone supports what he says and he is one of the few credible Tamil writers around. I know him and have worked with him. Cincinattus on the other hand, calls what Prof. Hoole writes arrant nonsense. He gives no reasons. At least if Cincinattus gives us his name and his qualifications, we readers can judge if he is to be believed over Prof. Hoole and the numerous references that support him. As it is, Cincinattus is a nobody with no claim to fame with no credentials to stand on. We Muslims see the same nonsense from Tamil writers that denied the expulsion of Muslims from the North. A new future needs a change of heart that I do not see. As a Muslim I am very disappointed. The TNA throws up a Chief Minister candidate who says Ramanthan is one of the great leaders he can think of. How can we Muslims trust him? I thought Mr. Hoole is an intellectual. But he has proofed to be a narrow christian. For god sake he didn’t become the vice chancellor of University of Jaffna. I like to remind him about a poem from great Tamil poet Subramania Bharatiyar ” Aayiram inkundu saathi, athil anniyar Vanthu pukal enna neethi” ( whether christian or Muslim. I still say that all this euphoria over Wigneswaran’s selection for chief ministership will soon peter out. The military governer is all powerful and will give short shrift to any proposal – even correct and sensible – from the council and/or chief minister,as is happening now. He and the army control the lives of all citizens,and such power cannot be surrendered easily. After all, power corrupts – this absolute power has corrupted absolutely. The president’s project to sinhalicise the north cannot be interfeared with. The monks are watching. The world is watching and Justice Vigneswaran will speak out if he is obstructed in his duties by the military governor. Don’t underestimate the man’s intelligence because if he thought he would be powerless to do anything he would not have accepted the request from theTNA. Justice Wigneswaran has never been linked with the LTTE and so the Rajapaksa regime will have difficulty in portraying as a separatist. More importantly because of this he will be able to represent the Tamil people with more authority than Sambandan ever could, especially in the international arena. MOST CAN DISTINGUISH A STRAIGHT MAN FROM A CROOKED. MOST WHO THOUGHT THEY WERE ‘HIGH’ IN CASTE NOW KNOW BETTER INCLUDING THE ASPIRING CHIEF MINISTER (WIGNESWARAN), HIS DAUGHTER IS MARRIED TO (NSSP) VASUDEVA NANAYAKARA’S SON. If people felt the late Ashraff was playing politics murmuring in Arabic, which much of the audience do not understand, before speeches there is validity in Hoole’s questioning Vigneswaran’s Sanskrit stanzas. And so Vibuthi, Kungumam and Sandanam on the forehead. But Vigneswaren was not a politician earlier and may want to be seen as a candidate of Hindus, Christians, Muslims and indeed others. A man deeply seethed in iyal, isai and nadagam certainly will make a difference in our politico-cultural landscape until recently dominated by “leaders” openly dabbling in murder, extortion, drugs and thuggery as their stock-in-trade. One of the few articles Hoole haw written I endorse and agree. However, there is no need to bring in religion, caste and race issues as Hoole always try to introduce. I am a Christian and studied in Jaffna after the 1958 riots although I had homes of my parents and grand parents in Colombo, and still have homes now that they are all dead. In a way, I am very glad that I studied in Jaffna, ulike Wigneswaran who now claims that he is a distant relative of the Ponnampalam brothers. Wigneswaran sounds more like TGTE senator and first cousin of Chandrika Bandaranayake, Brian Seniviratne who never fails to remind everyone that he is connected to the Banadaranayakes. 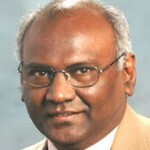 Most of the Tamils do not care in the North that Wigneswaran is a relative of Ponnampalam brothers. But they are intrigued that he is now a close relative of Nanayakaras, Fernando and Gunasekeras. However, let me qualify that by saying there is nothing wrong that his sons got married to Sinhalese, the same way I was at time and the mother of my chikdren is a Sinhalese Catholic from Colpetty, very close to where Wigneswaran now lives. Wigneswaran is also a close relative of Charlie Mahendran the former diplomat, and an adviser of Ranil Wickramasinghe the UNP leader. His son is Arjuna Mahendran who was the BOI Chairman when Ranil was the PM, so mch so that Sinhalese in the UNP argued with me that Ranil has given top appointments to Tamils, on that I certainly had serious disagreements. Although Wigneswaran is very fluent in Sinhalese he is now down playing that aspect cleverly. That shows that he is an able politician learning quickly. He can talk to all the Rajapakses in his fluent Sinhalese although he needs to talk in English to the likes of Ranil, Ravi K, or John A from the UNP or Sumanthiran from the TNA. Mr. Hoole, Sampanthan and Wigneswaran did a big favor to Mavai S, and your university friend Sittrampalam. Let W get what he always wanted, and he cannot fool people like me who knows what goes on in TNA and Colombo. Whom is he kidding. Wait and see Mr. Hoole what politician Wigneswaran can do next year as Chief Minister and politician. We all saw what Pillaiyan did as CM and who had a private army which W lacks. He needs to depend on the Sinhala military and Police for his own security and safety in Jaffna. Now I hear now that CVW is from Manipay and belong to the caste of “MADAPALLY” which was the majority caste in the North according to the census report of Simon Casie Chetty of 1834. But Madapally is not a Tamil caste. It is the “MAGHADHA PAALI” of Orissa. Ponnambalam brothers were too Madapally. Now you will know why Varatharaja perumal and his followers (>50,000) are settled in Orissa. Madapally is a soldier caste came with Kalinga Magha who founded the Jaffna Kingdom! He will be an ally of Mahinda rather than an adversary. Perumal served as CM for longer! He will be the last Tamil CM, mark my word. In which case we will also see the end of the criminal Rajapaksa regime. Mark my words! The regime cannot fool all the people all the time. Before that you will see the end of Tamils! Mark my word. Not a bad trade!! Rajapaksha for Tamils. the wisdom in the Tamil tradition to name the child only after it is born. TNA, the self claimed guardians and protectors of the the Tamil Nation, is riddled with LTTE allegiances and the presence of LTTE associates still calling the shots. To top it all, the TNA Board is totally dominated by the high caste Vellalas. Although a highly educated and holding the highest position in the acedemic shphere of a professorhip, this gentleman has to make a public appeal here fo the TNA leader Sambandan to accomodate low caste people, especially the non Hindus in the leadership Team. These seem to be burning issues , even before coming to focus on the plight of the three hundred thousand ex Capitives who live in the North?. None of their desperate needs like proper shelter, better schools, better healthcare, jobs,development,and peace and security din’t get a gournesey,in Sambandan’s choice. the Vellala CM’s long spiel. It was all about how to get the TNA its own Police and Titles to Public Land. Daya Master, in contrast lays out his clear Vision and Mission,in a very logical, practical and methodical manner, on how he will address and redress the issues pertaining to his people in the North. Unlike Mr Sambandan’s choice,No mention of the needs of the 150,000 voters from Wellawatta . Any sensible and reasonable reader who is devoid of any hidden motives will find hard to fault the program of this reformed LTTE leader. Can’t find any reasons to criticise Justice Vigneswaran? Unfortunately for you he has no LTTE baggage. So, bring up the caste issue. Pathetic, aren’t you? The tamil people will unanimously elect him. So don’t you worry your ugly little head, Leela. Don Mario Mazzoleni’s ‘A Catholic Priest Meets Sai Baba’ is the best book that I had read on Swami. Therein he writes, “What a profound concept the image of Ganesha represents. To the uninitiated He may only appear as an obese child with an elephant head”. What depth of understanding! To CVW, Hinduism together with all that is symbolic may signify much that is alien to others. Will the educated ever hold them against him? D M Mazzoleni was in the Vatican. He was drawn in his spiritual journey to Sai Baba. He went to the Ashram eight times. His preparation first made him a vegetarian. He made a study of the Vedas and the Upanishads. It made him appreciate Sai Baba’s spiritual message. With study and faith he braved excommunication. This is the mark of a learned person. Hoole is not a credible person. However some of his thoughts are relevant. As for Senathirajah, it would be interesting to read an article in the Virakesari as to how he was brought up by Ananadasangari and how he later betrayed him is a proof to his character. Leadership is something people bestow on someone. It is no one’s right to claim it. Leadership comes by command and not demand. When people like Amirthalingam, Raviraj, Joseph were assassinated, how come Senathirajah lived without even a scratch? Are you saying that Senathirajah not gettign assasinated is reason to believe that he might be guilty of something — please elaborate, will you? Fully agree with the firt comment of Cincinattus, the author’s view is outrageous. Here is what Justice Wigneswaran said on Sunday (July 21) in the Sunday Times when asked for the leaders he admires: that he is a nephew of Ramanathan (no harm in that) but very alarmingly that he is one of the leaders he admires and he certainly has great regard for him. I was hoping C.V. Wigneswaran could bring all Tamil speaking peoples together. But his admiration for Ramanathan dashes all my hope. He wants Professor Savitri Goonesekere as Governor. But can Tamil speakers meet her and discuss their problems with her? In Islam, non-muslims are Kaffirs and must be killed. Islam dont even consider giving seats on the floor to the non-Muslims. Ramanathan tried to bring all Sri Lankans together. If CVW get elected, he will bring all Tamils together at least. Muslims are the front runners of “separatist” politics in the region. It is high time that Jaffna people forgot the ridiculous caste system.Would like to quote from Josiah Gilbert Holland as to the need of the times not only for Tamila but for all Sri Lankans. All communities Sinhala,Tamil and Muslims–Buddhists, Hindus Muslims and Christians -Please memorise this and bring forth a generation of Politicians who tally with above saying. Hold a referendum to decide the fate of 13 amendment. Did Hoole forget how he was waiting to see Douglas Devananda at his office with the copy of the evidence of the LLRC? Whatever happens Hoole cannot be a VC of U of J! Because VCship at U of J is not by merit as required. Brilliant people bad leaders.Give your qualifications and the qualifications of the VC candidates and other relevant data when you speak, for your argument to be valid. This is malicious slander. Prof. Hoole is holding a very good position in one of the best universities in the USA and he is not interested in the VC’s post. His only aim is help the tamils children to come up in life. He will be an asset to the country if he is willing to forgo his comfortable life in the USA and come to work in Jaffna as a VC. The present VC is only a graduate with no qualifications but Devananda’s slave and will resort to any thing in order to keep her post safe. Nice things are happening in Jaffna university under the leadership of Douglas and the present VC who have very good records. You have said that “whatever happens Hoole cannot be a VC of the Jaffna Uni”. Mr. Sivanandan remember that Prof. Hoole is a DC and he is an asset to any country. You are not fit even to untie his shoe lace. I know very well how Hoole was waiting at the door of Douglas to clean his shoe. He, [Edited out], and his church opposed the formation of the Jaffna University. Then what the hell he want to “serve” in the same university? Hoole, Vikneswaran understand the meaning of Sanskrit Matra he says unlike you who don’t know what you are writing about. The loss of VC post has blinded you. Think of the thousand who lost everything some even their life. Red pottu yellow pottu is it all necessary here. Grow up Hoole this is not a thought of a man who aspired to be a VC. Try something in the church. I have met Wigneswaran on two occasion. One at his residence and at Gall Face Hotel when he received Ambassador For Peace award. I found him to be a fine person with very good qualities of a human being. Give him a chance to prove what he can do to the people. We should overcome the resentments of the past and look for the bight future. Wish him the best of luck in this new path which he had committed to.